Naah! I am not getting into the very lucrative Fashion/ Beauty blogging genre but lately I increased my blogging bandwidth and have ventured into lifestyle blogging thus giving me a broader spectrum to discuss things with you guys. Today I am sharing few beauty products which have been helping me keep manageable hair and a fresh face. Yup the word is fresh cause beautiful /gorgeous/ lovely feels like a slap on the face to a new mother who is super exhausted for getting decked up. 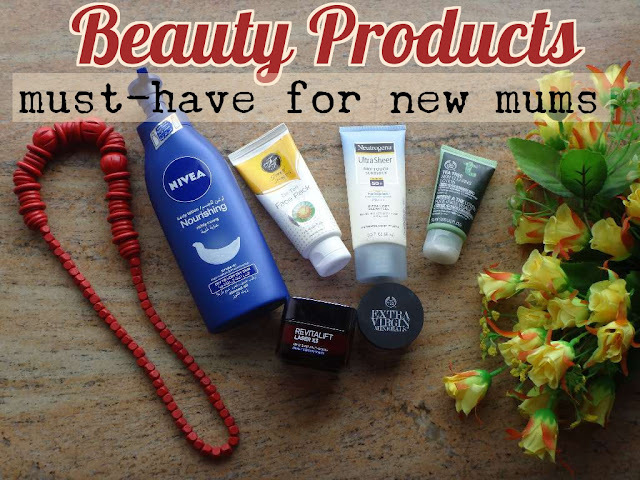 Thus suggesting few beauty products that I loved using in my zombi phase of life. Firstly a word of caution; I am not saying that you must have these exact same products. I am sharing what I have been doing and what is working for me, my skin, my wallets and my routine. You can steal ideas from this post and incorporate into your beauty regime; if you have one cause I ain't have any. I am not a makeup person and never have been and probably will never be because I find it too intimidating. You will usually find me with a Kajal, Compact Powder and Lipstick/ Lip Balm unless there is a function then I take out the concealer/foundation, blush and eyeshadows out. So what do I aim for?? I aim for clear skin i.e without pimples/acne. dryness and tan. I am NOT into the 'must-have-fair-skin brigade'. I love my skin color which is wheatish but I do not like tanned skin as it makes you face dull, prone to wrinkles and hyperpigmentation especially after pregnancy. Noting down few products that have help me achieve the same. The moment you conceive the first thing pregnancy hormones strike is the Skin. You either get a glow or a blow. Before conceiving I was religiously using this face lotion and it worked wonders. The month I conceived I ran out of this lotion and was too lazy to go shopping and pimples popped up and this time they were painful. 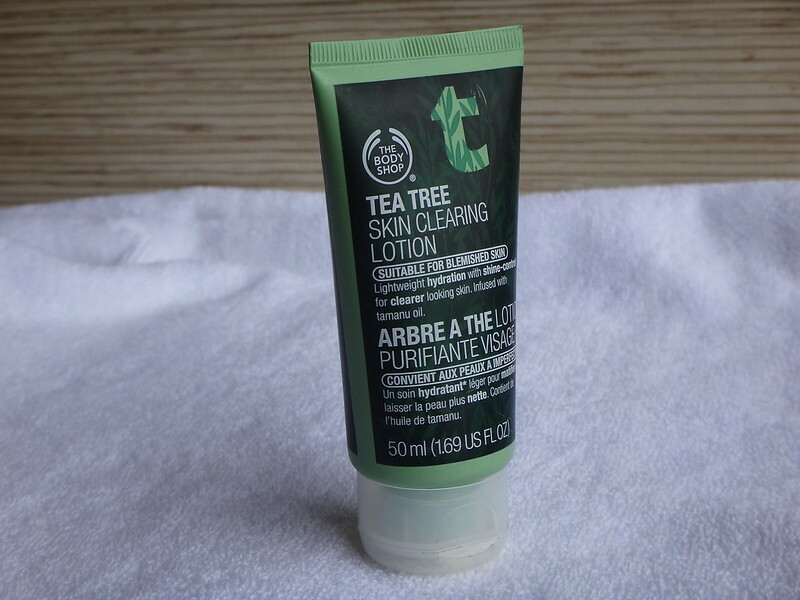 Immediately switched back to Tea Tree Skin Clearing Lotion and no major acne problem since then. It is a day cream hence after the morning shower I used to apply this lotion.It gives a little burning sensation on your skin due to tea tree oil but that makes the skin super supple and definitely keeps acne at bay. Currently I am not using any day cream but I am using a night cream which I have mentioned further below. Even if you are a stay-at-home-mom you will step out and you will face the sun even if it is a visit to the pediatrician. Sunscreen lotion is a cause the UV rays are one of the factors that triggers the hyperpigmentation. Infact you should apply sunscreen while you have that pregnant belly so that afterwards when the hormones settle the pigmentation would be less. 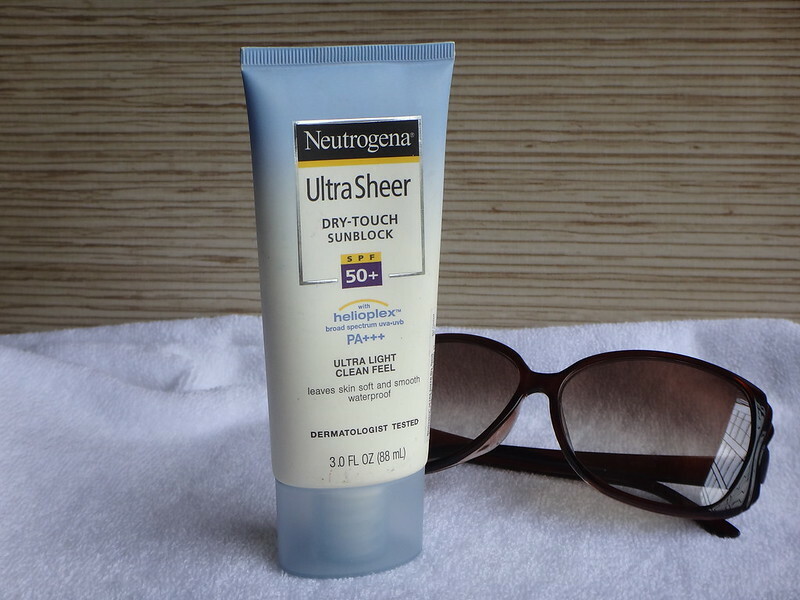 Neutrogena Ultra Sheer Sunblock is my trusted brand when it comes it sunscreen. It is light on skin, waterproof and reasonable as the products last a good period of time as a little product spreads evenly on the skin thus is less wasted. You would atleast want to powder your nose before taking that diaper bag and stroller and the baby for your daily walk to the park let alone the entire makeup. The Body Shop Extra Virgin Minerals loose powder foundation is a charm. It is a powder foundation which will yield better results on well concealed face but on a moisturized face also this acts like a charm. Gives an instant finish to your skin, some kajal and lip gloss you are set to head the road. After 30 aging kicks in with a force and if you are pregnant in this particular span then you have to opt for a good anti-ageing cream. 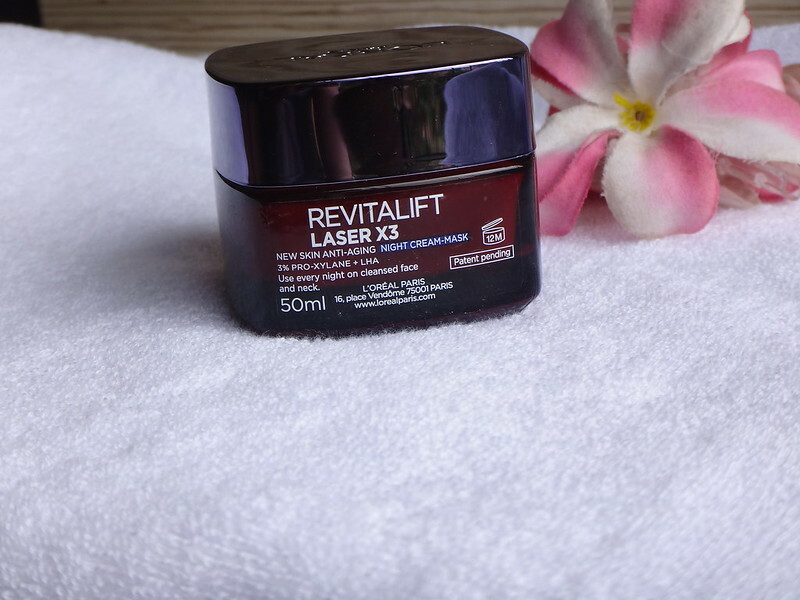 L'oreal Revitalift Laser X3 night cream mask is like a bonanza offer. Firstly it is a night mask which helps your skin to rejuvenate and secondly with its anti ageing properties it makes a total winner. The cream is soft and spreads like butter on your skin. In the morning when you wash your face you will find the invisible layer getting washed off and what is left behind is a natural glow. I have recently started using this product infact I waited for good 6-8 months to let my skin settle down after delivery before beginning any new experiments. I love this product so much that probably I will by the day-cream version of the same series. Going to salon and getting hour long facials will be a luxury hence opting for a good quality face pack is a must. 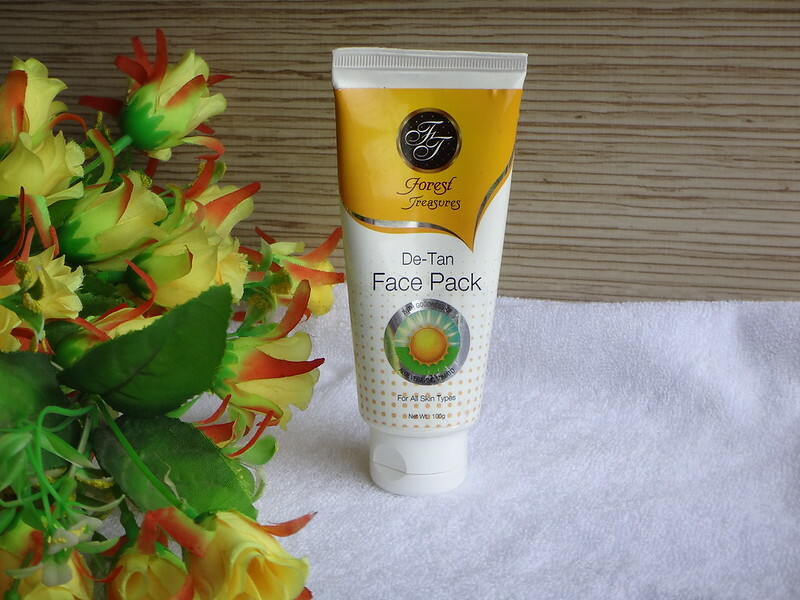 Forest Treasure De-Tan Face Pack is a nice refreshing pack and does what it says. Take the tan and impurities out. Apply this when you baby is napping or when your partner is around to take care of the baby for 15 mins and you are sorted for a week. Make it your weekly ritual it feels like a million dollar trust me. 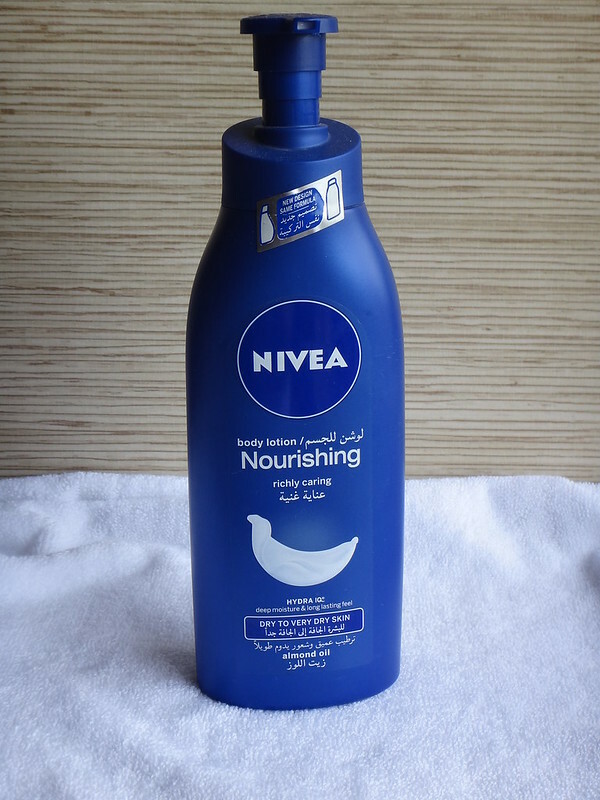 You will use a stretch mark lotion for you belly but you will find that your hands and legs also could do with some pampering thus resort to the trusted Nivea Body Lotion. Over the period of time you will get used to the massive hair fall after delivery but that's not a good thing. I know sometimes having a bath without having to step out to attend your wailing kid is an achievement. Let alone having a hair wash but it is must to wash your hair twice a week to reduce the hairfall of course accompanied with a healthy diet. Opting for a Hair Masque can help combat the hair fall and give a better texture to the hair. 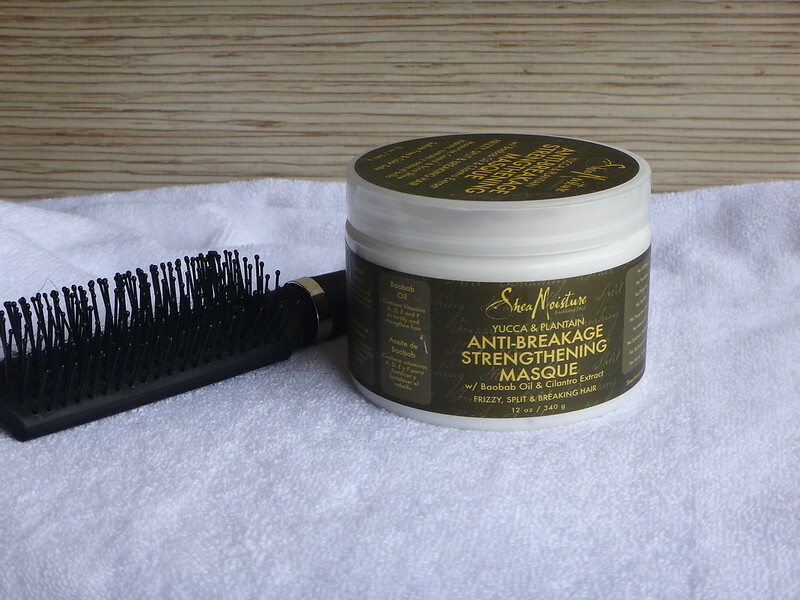 I am using Shea Moisture Anti- Breakage Strengthening Masque for my hair and my hairfall has reduced monumentally. I doubt if this product is available in India but there are different options available in the market. Pick which will suit your hair type and problem. That's it from me today. Hope you find this post helpful and if any queries or feedback do comment below. Until next week. Chao! PS: You may wonder Why I went for the night cream ? or Why I am not using a day cream currently? My son, Arha is asleep in the night and does not lick my face.